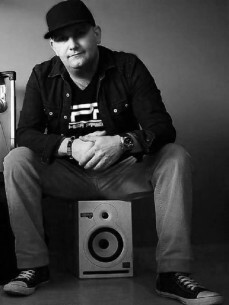 SpeakerFreakz, in real life known as Luca Perini, was born on the 28th of February in Haarlem, The Netherlands. As a small child he was already infected bij electronic because of his Father who was a big fan of bands like Depeche mode, A-Ha and Kraftwerk. At the age of 11 he came in touch with Dj's and Rave Music. He was really fascinated about this new thing, so his parents decided to buy him 2 turntables for his 12th birthday.He played at several smal clubs around the city of Haarlem by the name of Da Lucci, he played old school and early rave at that time. He was growing bigger and bigger en so did his skills. In the year 2001 luca went to a party called oxygen, the dj's who played there where Pavo, Dana and Luna. They we're playing Hardstyle and luca totally loved it. this new thing he heard was so amazing, so energetic. The years went by, and the hardstyle Music was evolving. It became more euphoric and was still getting bigger. Luca decided that spinning hardstyle records only wasn't enough for him. He wanted to make his own records, So he came up with a new name (speakerfreakz) and competed in a remix contest that was setup by Trilok and Chiren for their label called Mythica Records , his remix was a winning one and the track got released. At the same time he got picked up by the organization of Free 2 Party. They believed in his skills and gave him a chance to perform for a bigger audience.